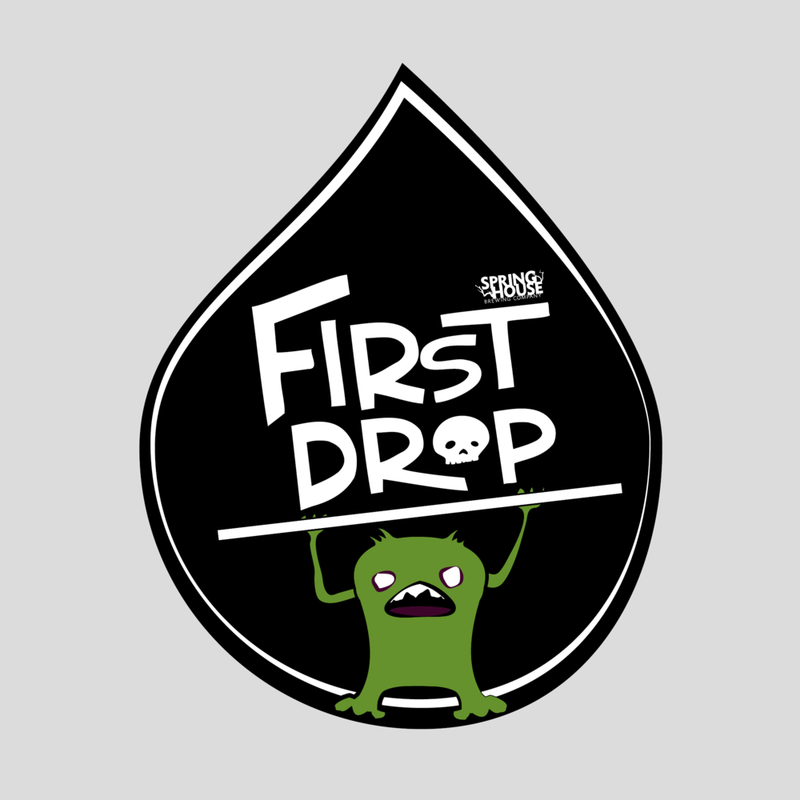 First Drop — Spring House Brewing Co.
A monthly gathering to celebrate beer. It’s no secret that our brewers like to push some boundaries on our beers, so it should come as no surprise that we’ve brewed up a new way to keep the experimental juices flowing. Introducing First Drop – a monthly beer program aimed at celebrating whatever it is our brewers are tinkering with each & every month, from brand-new recipes to new takes on old favorites & everything in between. We’ll be releasing a brand new beer on the first Thursday of every month exclusively at The Butchery on Hazel Street & The Taproom in Downtown Lancaster. While you can go ahead & set a recurring reminder in your calendar for each First Drop, you’ll need to check out our Facebook & Instagram pages for info on each month’s release. First Drop beers are available on draft & for Crowler fills while supplies last. These recipes will not be bottled or canned otherwise, so make sure you enjoy ’em while they’re around! 2019 © Spring House Brewing Co. All rights reserved. Use of photography, images or logos without Spring House Brewing Co. permission is prohibited.